BAHCO – High Quality and Innovation since 1886 In 1886 the first saws – which would later become BAHCO branded – were manufactured in Sweden. They were made with the same milled steel used for high-quality fishing hooks (the fish & hook) trademark was chosen to symbolise the exceptional toughness and durability of our products. 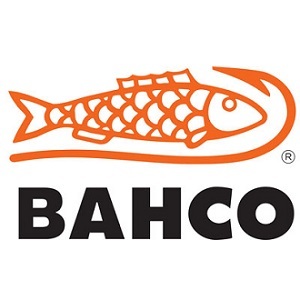 Today BAHCO is a global, market leading brand with a range of professional hand tools, including handsaws, combination spanners, socket spanners, screwdrivers, adjustable wrenches, files, bandsaws, pruning tools, holesaws, hacksaw frames & blades. The spirit of innovation and unrelenting quality, which first set BAHCO tools apart, continues to define our brand to this day.